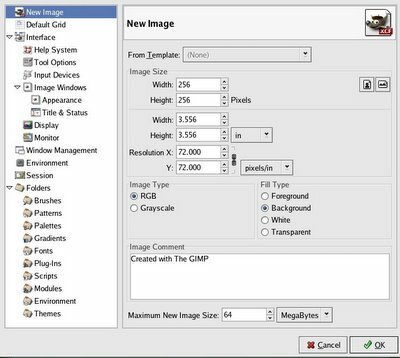 Gimp is a GPLed cross platform graphics suite which rivals many commercial graphics packages available in the market. I have been using Gimp for all my graphics needs for the past two years. And believe me, this is a winner not only in terms of price (which it is) but also in quality and features. You can do everything and almost anything using Gimp that you can achieve in Adobe's Photoshop. All the screenshots and images used on this site have been created or modified using Gimp. Gimp is an ideal tool for optimizing the images meant to be hosted on the web. The most endearing aspect of Gimp for me is the plethora of scripts and plugins that are installed with it. 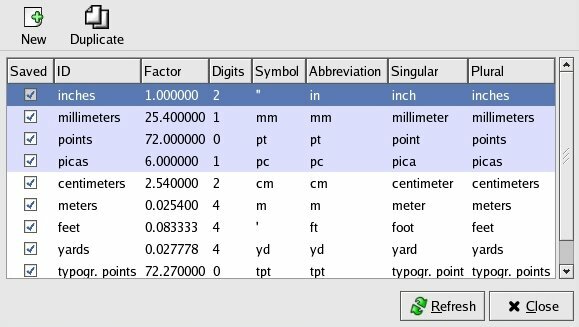 Gimp uses a scripting language called Script-fu which can be used to create beautiful banners and buttons meant for use on websites. You should not mistake a script with a plugin. A plugin requires a image to work on, where as a script will create an image from scratch. There are over a hundred plugins and script-fu's available for gimp. Want to create a ripple effect on your image? No problem! you can create it with the click of a button. The area where Gimp outshines Photoshop is in creating images optimized for the web. 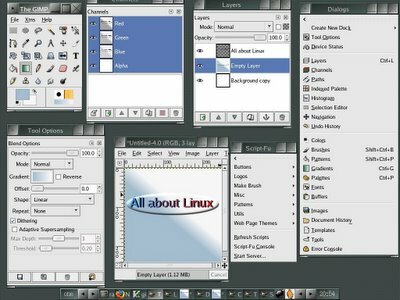 As a first time user, you will find the user interface of Gimp a bit clumsy because each function has its own window unlike Photoshop which has a single main window which encloses all the features. But after working in gimp for some time, you will realize that it is really a great advantage to have multiple independent windows. Let me elaborate on what I just said. Usually, you will be doing graphics manipulation using a monitor having atleast 1024x768 or higher resolution. In this resolution, you can neatly arrange the multiple windows in gimp in such a way that they don't overlap each other (See Fig below). This makes working in gimp easier and enjoyable. Gimp is available for multiple platforms (Windows, Linux, Unices ). 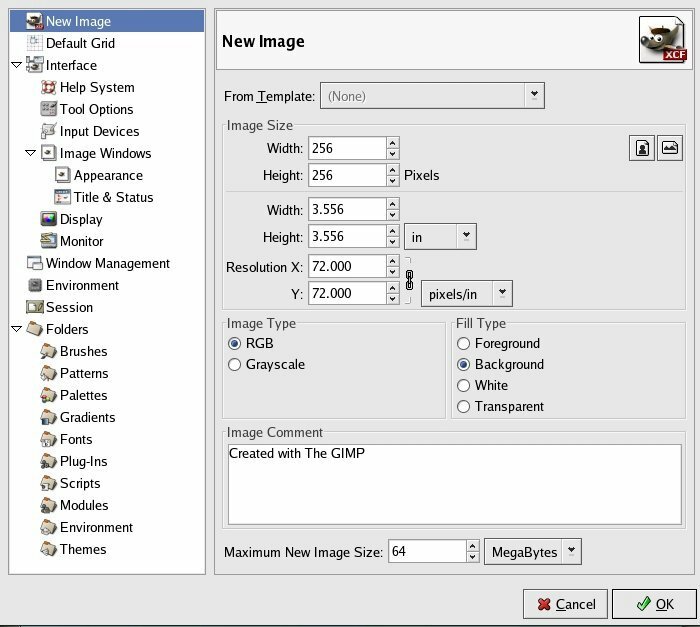 Fig: Gimp windows arranged for efficient use. Support for creation of Layers, Channels and Paths. Creating Alfa channels and Layer Masks. 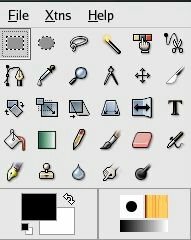 Good set of tools equivalent to those found in Photoshop like crop tool, gradient tool, Magic wand, Clone tool, paint brush and so on which will make a Photoshop user feel right at home. Save images in over 34 formats including in Photoshop file formats, not to mention TIFF, GIF, JPEG, PNG and Postscript. Gimp maintains a history of your actions which helps you to go back to any previous point if you have made a mistake. Can easily automate a function by writing your own scripts to do a particular task using script-fu. One of the biggest short comings of Gimp is lack of good CMYK support. For those in the dark, CMYK (Cyan, Magenta, Yellow and Black) refers to the color of inks used in the printing process. So if you are readying a graphics (maybe a brochure) to be send to your neighborhood commercial printers, then you have to convert it to CMYK mode before sending it to them. CMYK support is very important for any graphics package to make it big in this profession. And Photoshop is where it is because it has better CMYK support. But that is bound to change as Gimp developers have promised better CMYK support in the next major release of Gimp. Home users need not look at any other software when Gimp is around. You get all the power that you need - be it photo retouching, red-eye removal, creating borders for your photos and more - in Gimp. If you are a web developer creating images to be used on a website or to be viewed on a PC, you will be working in RGB (Red,Green,Blue) mode. I strongly recommend using Gimp as your graphics software. But if you create graphics meant for printing, then it is better you stick to Photoshop for the time being because of poor support for CMYK mode in Gimp. I like your blog. I especially enjoyed your article on Gimp. 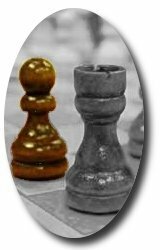 How did you create those awesome special effects on those chess pieces ? Do you know any good Gimp tutorial for people that are almost clueless in graphics? A beginner's guide kind. Have a good look through the official gimp website (www.gimp.org) to find some tutorials. 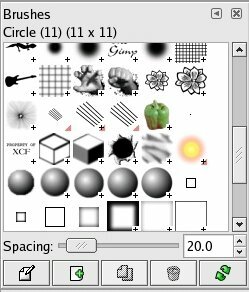 There are a whole lot of resources for Gimp available on the net. You just have to do a google to get those. But a starting point will be www.gimp.org which lists lots of them. Have U ever tried Adobe Photoshop? (I know that i'm comparing a free software with a 1000USD app., but I find your article just much more possitive than GIMP deserve..) I tried Gimp many times, but every time I got only an install-try-uninstall process. The interface is just disgusting. you cannot work in this program efficiently. Your Fig: Gimp windows arranged for efficient use.. makes me smile. I wonder that you are able to work with this arrangement.I tried gimpshop, whis is a modification of Gimp with photoshop menu and shortcuts, but the interface remained the same.. also the lack of CMYK support make from gimp an internet-graphics software, no more. maybe after some time, the situation will be different, but the development will need some graphics users, not only programmers.. If you tried Gimp on the Mac, then it is possible that you might not have enjoyed using this software very much because I have heard, Gimp on the Mac platform lags behind a little bit, has had some installation blues on Mac in the past and so on. But you should note that In my post I have never said that Photoshop can be replaced completely by Gimp (See shortcomings of Gimp). But in some areas like web development, Gimp is an ideal tool both cost wise and feature wise. As far as the user interface is concerned, yes it needs some getting used to for a person switching from photoshop. But I have never faced a problem in being productive using Gimp. Gimp has lots of resources on the web. 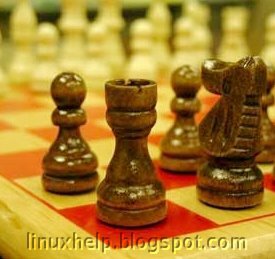 But as the previous posts have said, a starting point for a beginner would be www.gimp.org which has a good collection of tutorials and even some online books targeted at Gimp users. There are also good tutorials and a good help forum at http://www.gimptalk.com. Maybe that helps to somebody. I like Gimp, but I'm curious when will be the new Gimp 2.4 released? Anyone know that? I just subscribed to your blog last night and you already helped me immensely. I am just starting my foray into the open source world and I will need a good photo editor. Thanks for the tips! !